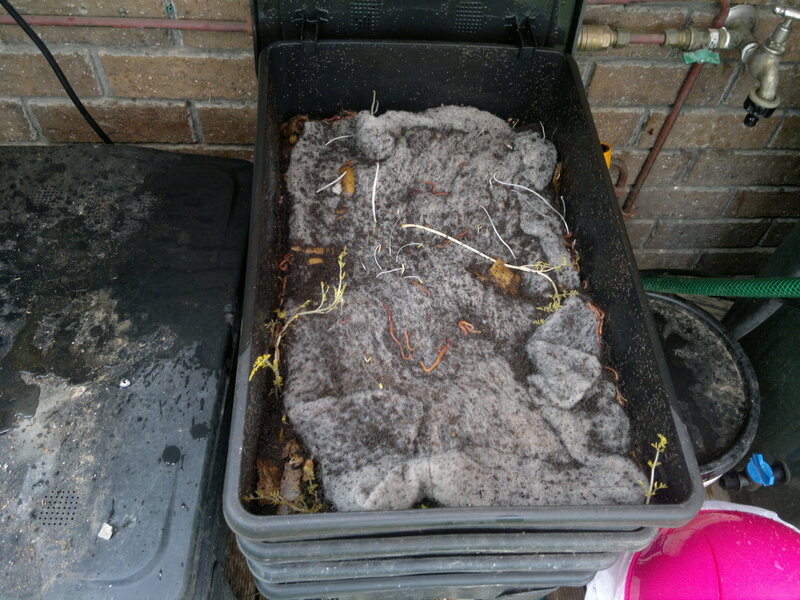 I’ve been running a worm farm since December 2011. I use the kitchen scraps only in this worm farm. 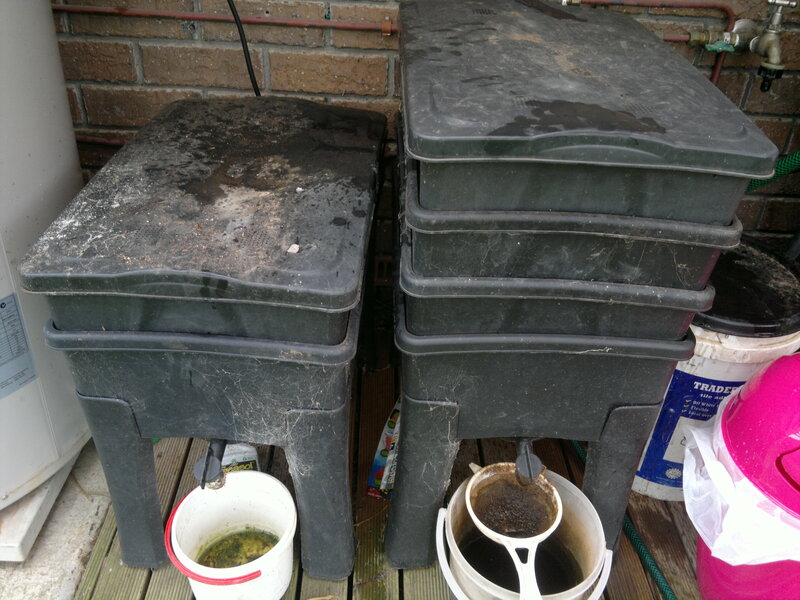 It gives us up to 10 lts a week of worm wee(fertilizer) and a 20lt bucket of worm casting every 3 months or so. This worm farm has 3 trays with the top tray for food. 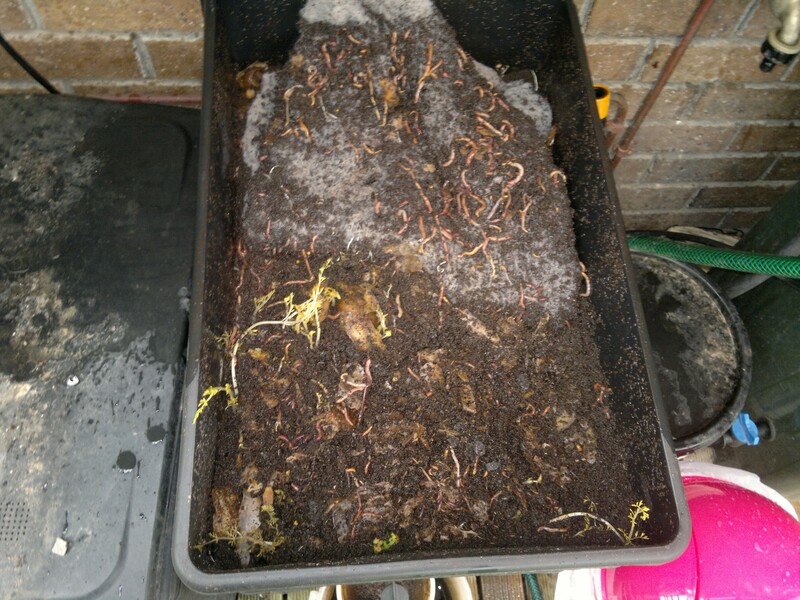 I was able to pickup another worm farm for free which i use to separate the worms from the castings(trust me, it makes life easier). seems to be some carrots growing in the farm as well!!! !